Three-fourths of the kids orphaned by the tsunami in Sri Lanka are from the conflict-ridden and Tamil-speaking North Eastern Province (NEP) of the island country. According to the latest figures with the Commissioner of Child Probation Services, out of the 995 kids who had lost both their parents, 725 are from the North East. There are 3,389 children who have lost one parent. Of these, 2372 are from the North East, 998 from the Southern Province and 19 from the Western Province. The tsunami had hit the North East as well as the southern coastlines of Sri Lanka. But the affected area was much larger in the North East than in the south. The other problem that is worrying the government is that of missing children. According to the Women's and Childrens' Bureau of the Sri Lanka police, there are 161 cases of missing children with them. Sources in the bureau said that till date, not a single child had been found. 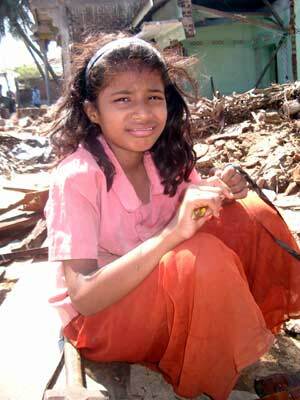 The tsunami created more orphans in Batticaloa district in east Sri Lanka, than in any other district in the country. Among the 725 orphans from the North East, 406 are from Batticaloa, 162 from Amparai, 82 from Mullaitivu, 39 from Jaffna, 35 from Trincomalee and one from Kilinochchi. The Commissioner of Child Probation Services (CPS), Sarath Abeygunawardena, told Hindustan Times on Wednesday, that the government's policy was not to encourage the adoption of the orphans, at this stage. "The accent is now on finding foster parents. We are not looking at adoption at this stage, because it is a long winded legal process," he said. "Under the Child and Young Persons Ordinance, we are to first try and find foster parents or Fit Persons to bring up the child. The ideal Fit Persons are close relatives with whom the child is already familiar. The child is handed over to the Fit Person after a legal procedure," he said. The CPS has so far found 100 Fit Persons, 60 of them from the North East. Forty orphans are being cared for at the government's Probationary Homes and the rest are with close friends and relatives. Some are in the refugees camps, cared for the camp authorities or their relations living there, Abeygunwardena said. The Sri Lankan government, as well as private organisations, both from home and abroad, are providing funds and other services for the proper upkeep of the orphans. "While the government pays SL Rs 250 per month per child, a private organisation called Hope for Children, is giving SL Rs 500 per month. 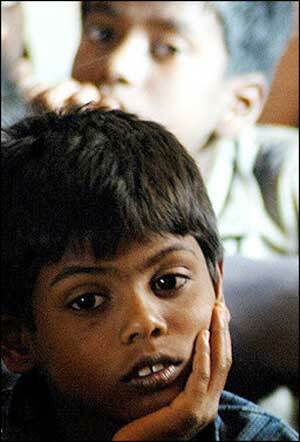 It has already earmarked SL Rs 19 million for the care of tsunami orphans in Sri Lanka," Abeygunawardena said. There are also other funding organisations, some of whom give up to SLRs 1,000 per child, per month. There are organisations, which have come forward to put fixed deposits in the banks in the names of the orphans. "We hope to get enough," replied Abeygunawardena. The government has a scheme to look after the educational needs of the orphans even after they have entered the homes of foster parents. "Child Rights Promotion Officers, attached to the Divisional Secretariats, and Probation Officers in the Provincial Councils, will be supervising the welfare of the kids," the Commissioner said.